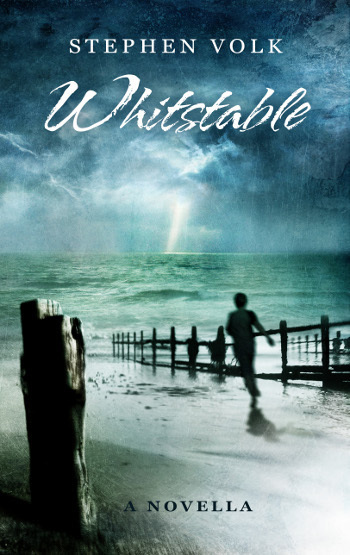 “Whitstable is a novella from the classy stable of Spectral Press. It is not a horror or ghost story by the speculative fiction definition of the same, but it is a haunting elegy of loss: lost love, lost innocence, a lost time, and a lost place. Set in Whitstable in Kent in 1971, it lyrically blends fact and fiction by setting at its core the actor Peter Cushing, a hero to all Hammer horror devotees. Devastated by the recent death of his beloved wife Helen, Cushing is facing the agony of unchecked grief. Whilst failing to deal with his own inner demons, he is approached on Whitstable Beach by a young boy who takes him for the character he so often played in his films, Doctor Van Helsing. The boy is desperate for his help because he believes his stepfather is a vampire. This is real life, though, not the fantastical horror of the movies or blood-chilling gothic tales and, in the boy’s troubled words, Cushing thinks he detects indications of child abuse and a tale of night-time deeds where the monster is all too human. Cushing is not a hero with a crucifix or crossbow, but a grief-wracked widower who is not sure he wants to go on living, an ordinary and weakened man, but one with a strong sense of right and wrong and who cannot ignore the pleas of an innocent child. Cushing has to confront his own demons before he can respond to the mundane, but destructive evil lurking in the small seaside town. Whitstable is a beautifully written and delicate exploration of grief. The character of Cushing is skilfully drawn, mixing the sort of facts known to Hammer horror aficionados with precisely imagined and emotionally telling detail. Likewise, the fading town of Whitstable on the Kent coast is sketched with attention to crucial detail and a real sense of affection. An important and tense scene set in the “faded gentrification” of Whitstable’s Oxford Cinema, which has clearly seen better days and is on route to becoming a bingo hall, is striking for its sense of drama and an evocation of both period and place. This is achieved whilst intertwining the novella’s story line with the on-screen, scene-by-scene, plot development of Peter Cushing’s 1970 film The Vampire Lovers. It is a poignant tale, lyrically told, but if horror is what you are about, there is enough detail of the films Cushing starred in, woven into the story line, to fascinate Hammer horror fans and lovers of Peter Cushing’s oeuvre. Thank you both to Morpheus Tales and to J. S. Watts for this!